Food is my favorite language. 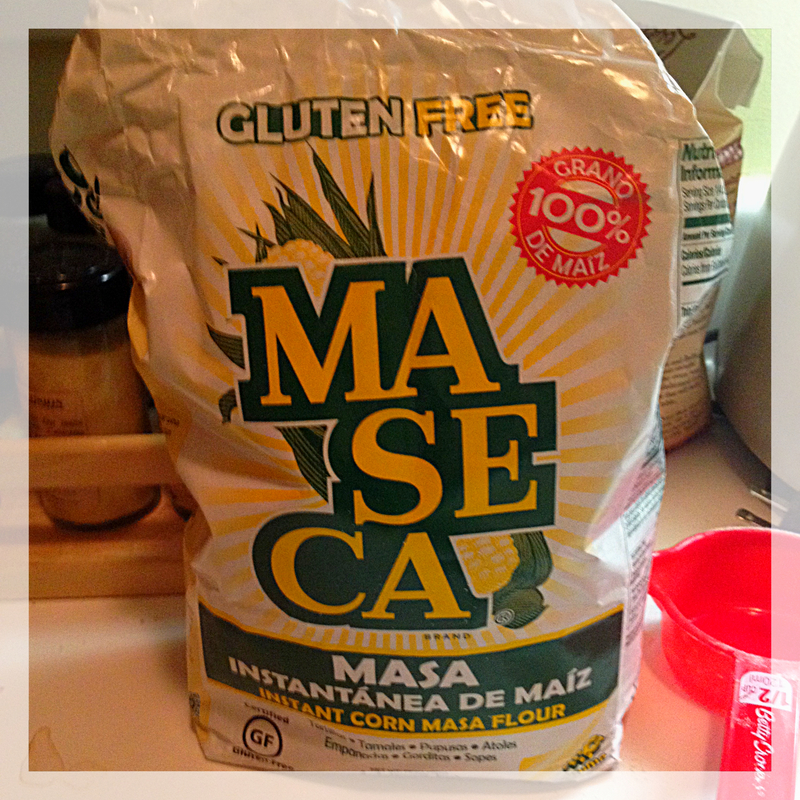 All you need is masa corn flour (Maseca), water, and a little salt. That’s it. I pour a cup of masa into a bowl, add about 3/4 cup of warm water, throw in a pinch of salt, and mix to make a soft dough. I break off about 6-8 pieces and roll into balls. Then I tear two square sheets of plastic wrap, place a ball in between and press. I don’t have a tortilla press (YET) so I just use my cutting board and a rolling pin to flatten it to about 1/8 inch thick. Heat a griddle or pan, carefully peel the tortilla off the plastic wrap, and place into the pan. Heat it for about 1 minute then flip over to the other side for another minute. Repeat with the rest of them and you have a hot stack of delicious corn tortillas that are much better than any cardboard imitations in the grocery store. There’s also something really therapeutic about pressing the dough into a delicate disk and placing it carefully in the pan. The attention it requires helps me slow down (even if I am moving fast) and clear my mind, like pressing pause on life outside my kitchen. Now that I know how easy they are, corn tortillas will now be in my regular rotation. 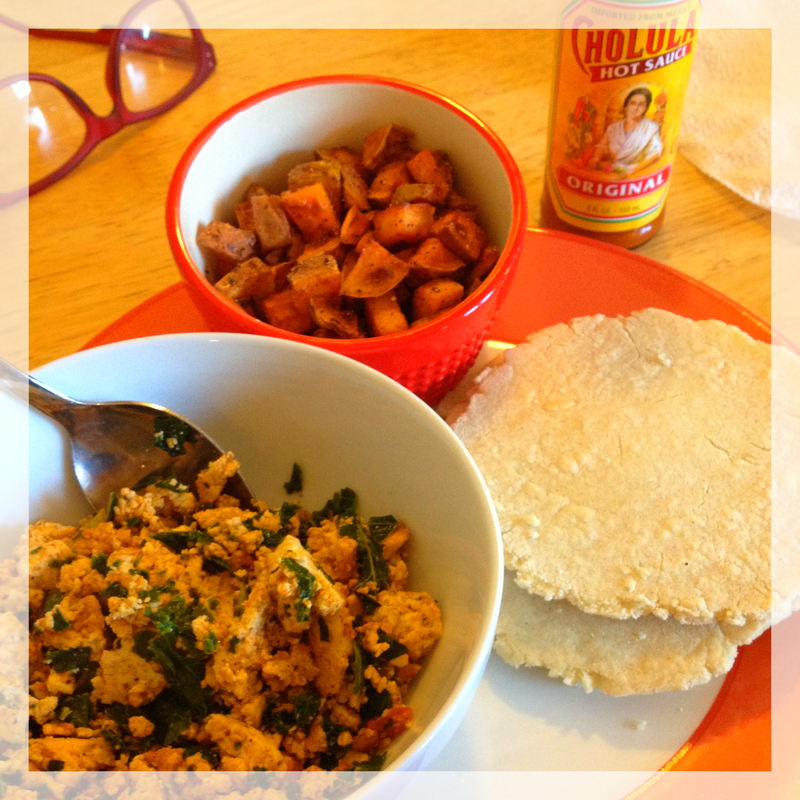 The first time I made them, I used them for tofu breakfast tacos by making a tofu scramble and pairing with a sweet potato hash and Cholula. The second time I made tempeh tacos by crumbling up some tempeh and sautéing it with kale, tomato, and spices like adobo seasoning, chili powder, and oregano. I even made buffalo pear blue cheese tacos, which I regret not taking a picture of and will definitely have to revisit. I topped a couple corn tortillas with sliced pears, crumbled blue cheese, and slashes of buffalo sauce, and then placed it under the broiler until the cheese melted. The combo of sweet pears, tangy blue cheese, and spicy buffalo sauce on a base of a fresh corn tortillas was a symphonic blend that put me in a state of pure bliss. So in conclusion: Go out and buy Maseca. Make some corn tortillas. Change your life. Most delicious life hack ever. This is exactly what I did for dinner tonight, with the exact same corn flour. 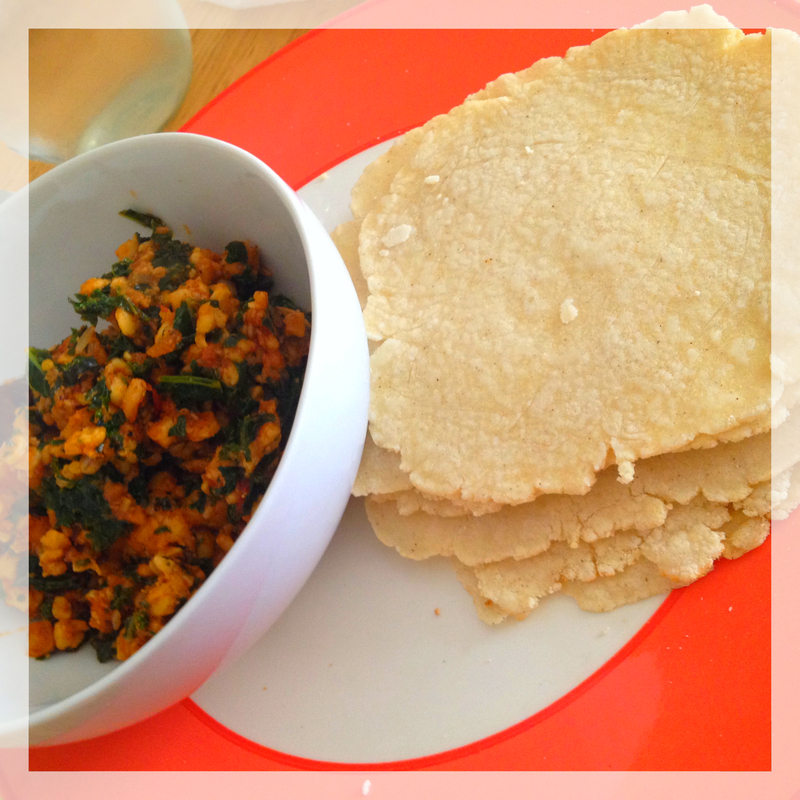 I love homemade corn tortillas, they’re so much better than store-bought, ready-made ones! They really are!!! I’m obsessed.